We know the pressures you face and the challenges you encounter. Bluewater Nonprofit Solutions has more than 25 years of experience working in leadership positions for nonprofit organizations at the community and national levels. This experience is what makes Bluewater uniquely qualified to serve your organization. Bluewater Nonprofit Solutions is dedicated to helping nonprofits improve operational efficiency, maximize available resources and advance mission delivery. 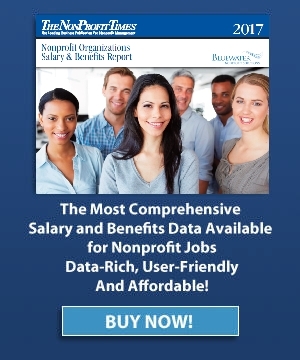 We specialize in producing custom salary and benefit surveys for associations, industry groups, professional societies, chambers of commerce, and individual organizations. Our leading edge survey tools offer unlimited customization and flexible reporting options that allow us to quickly and affordably create a tailored survey to meet your needs. Our credit card processing is designed specifically for nonprofit organizations. Our solutions help organizations raise more money, simplify the bank reconciliation process and automatically accept reoccurring donations. We guarantee the lowest rates, and provide everything needed to accept donations.